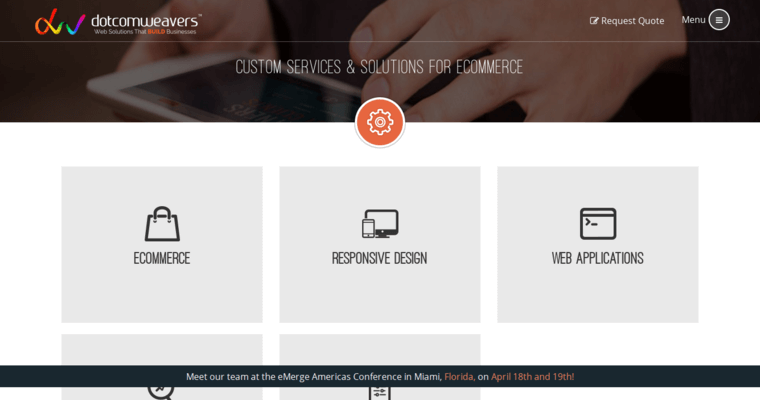 Dotcomweavers is a team of dedicated, disciplined web design professionals that delight in advancing the professional progress of clients by enhancing their online visibility while also sending their conversion rates through the roof. 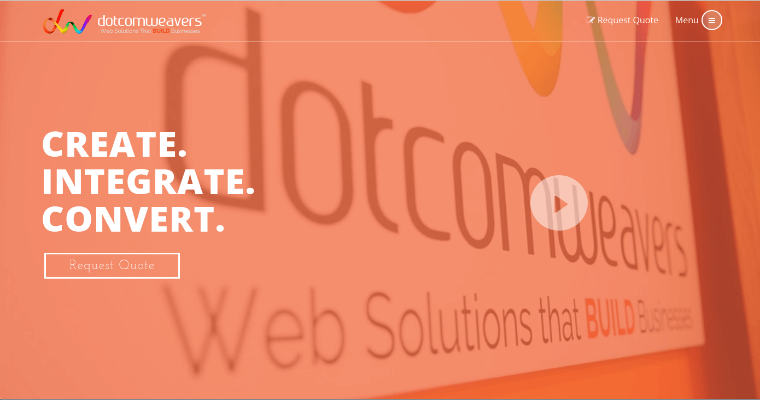 To accomplish these objectives, the tech experts of Dotcomweavers specialize in creating innovative, brand-building websites that distinguish the client from his or her competitors. By carefully appropriating the latest graphic design strategies, our team of experts will put together a highly functional and interactive website that leaves your target market absolutely amazed with the great products and/or services that you offer. We're also pleased to offer a wide range of brand enhancement services to ensure that the slogans, mottos, and icons you're using to create your business image are comparable to the values and interests of your target market. 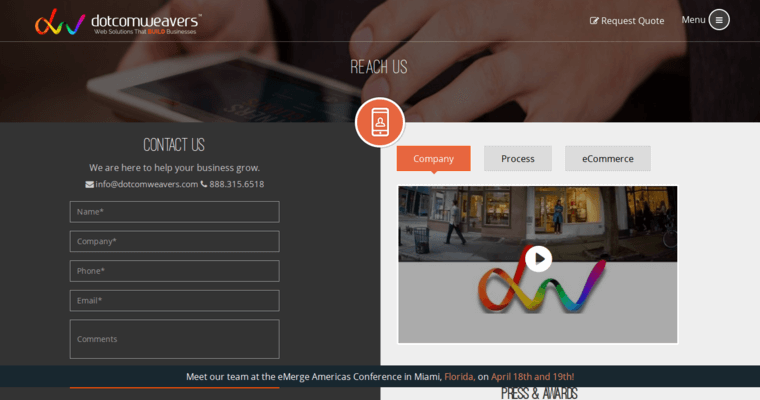 By offering a plethora of proven digital marketing strategies, the experts of Dotcomweavers are successful in helping clients realize any and all of their business objectives.